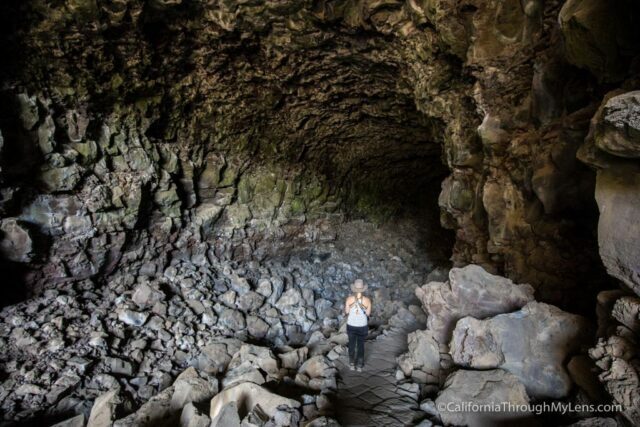 Skull Cave is easily the most popular lava tube in Lava Beds National Monument and for good reason, it is awe inspiring. When you walk to the edge and see the massive mouth of the cave opening in front of you, you will not soon forget it. 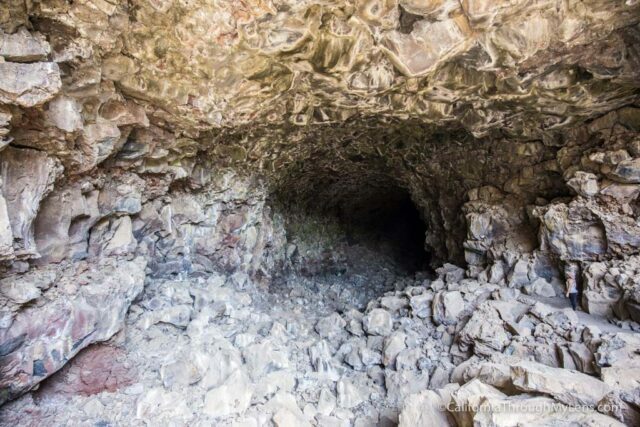 The unusual thing about the cave is that it is not that long, so it is a great way to get your barrings underground in a park full of caves. Here is all the information. Skull Cave is located about 2 miles north of the visitors center, a little bit off the main road. There are signs for it and it is popular so it is easy to find. There is a parking lot right near the entrance. The cave entrance is located about 25 feet from where you park. When you get to it, you will immediately be blown away by how amazing it is. 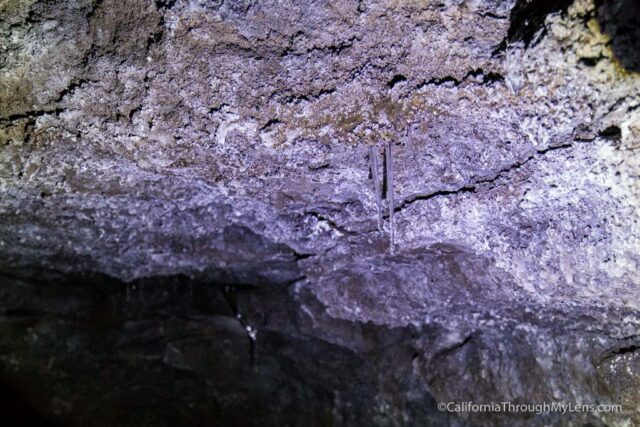 The mouth of the cave is probably 60 feet tall and just as wide. It literally feels like it is engulfing you. You can get an idea of the size in the above photo with my wife for perspective. 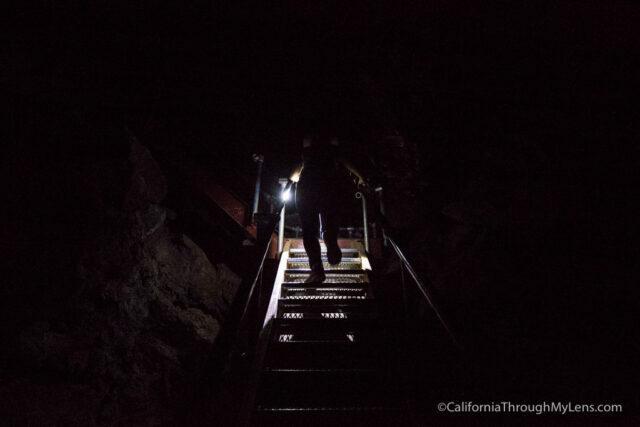 Heading down into the cave you will be walking on stone steps and making your way around to the path on the right. 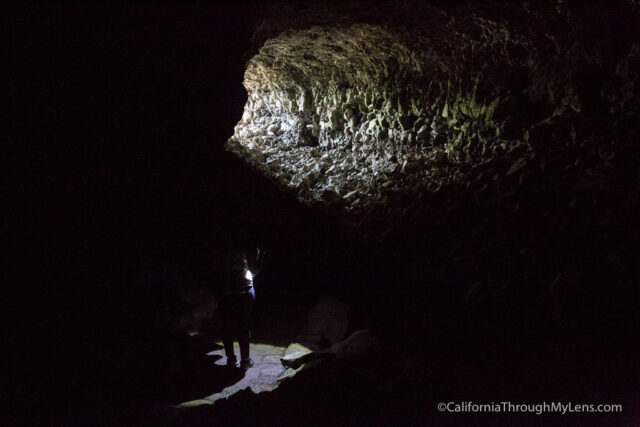 This cave stays lit for much longer as it has such a large opening, making it easier to manage without a flashlight but you will certainly need one at the end. 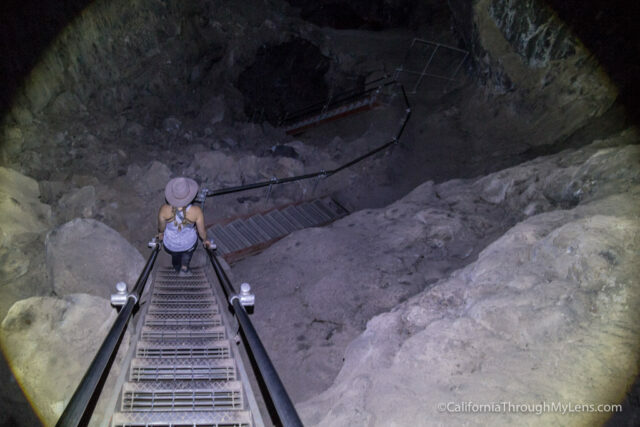 The end of the cave is a large set of two staircases that takes you down about 50 feet to another level of the cave below. 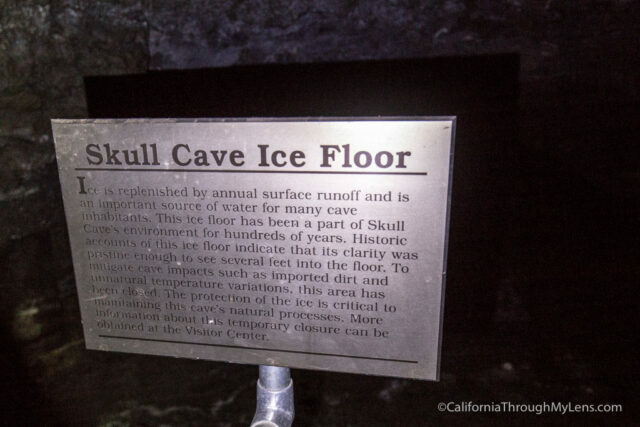 You can walk on metal grating around the back of this area where you will be able to see icicles hanging from the ceiling of the cave, since it is so cold. From here you can look around with your light a little more or head back out the way you came in. 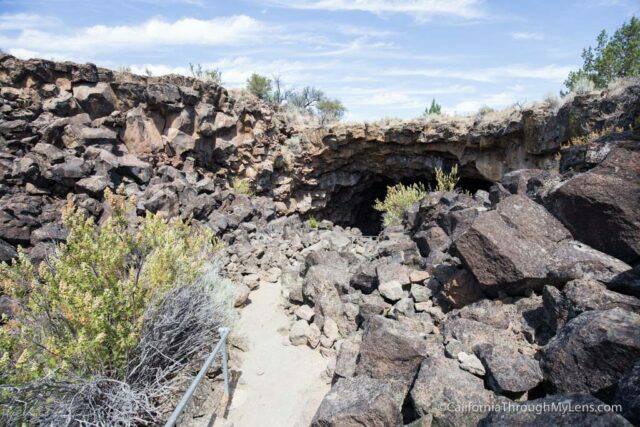 This is a fantastic cave and one you must visit at Lava Beds National Monument. 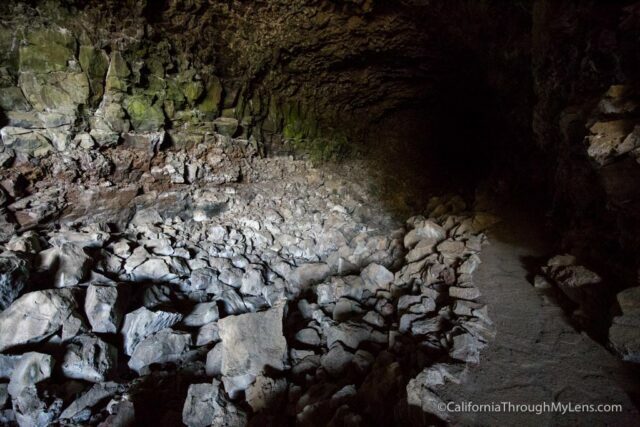 Read more about what you can do in Lava Beds National Monument in this post.